Permanent secretary in the Ministry of Youth, Sport and Child Development Joe Kapembwa, says government attaches great importance to the development of sport in the country. Speaking during the official handover ceremony of the newly constructed judo hall (Dojo) on 26th March, 2018 to the Zambia Judo Association (ZJA) by the International Judo Federation (IJF) at the Olympic Youth Development Centre (OYDC) Kapembwa, said government is happy that the International Judo Federation selected Zambia as “International Olympic Training Center” for judo athletes by constructing the judo hall at a total cost of 326,000 euros a move he says will help increase more participation in the sport and minting of medals during competitive games. He added that the ministry will continue to support the sport of judo through the Podium Performance Programme (PPP) and urged other sports federations in the country to emulate the construction of the judo hall by engaging their international federations. 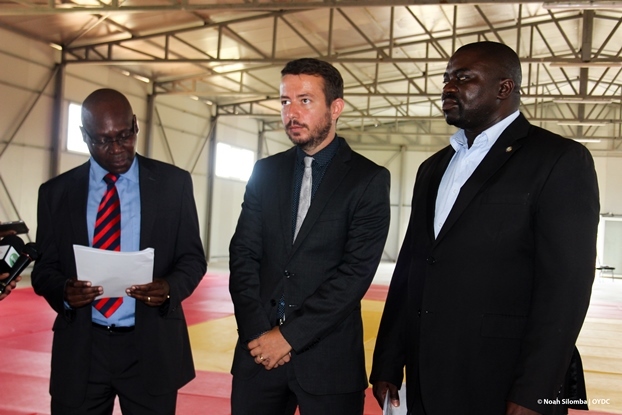 Speaking earlier Zambia Judo Association (ZJA) president Alfred Foloko who is also National Olympic Committee of Zambia (NOCZ) president disclosed that the judo hall (Dojo) will improve the sport and increase the number of athletes who will be qualifying to regional games. He thanked government through the Podium Performance Programme (PPP) and the International Judo Federation (IJF) for ensuring that the construction of the Dojo comes to a complete. Meanwhile, International Judo Federation (IJF) architecture Felix Fofiu, before officially handing over the judo hall to Zambia Judo Association president Foloko, said IJF will continue to work with ZJA and the Zambia government at large to ensure that the standards of sport in Zambia is improved.